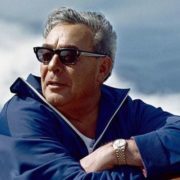 Leonid Ilyich Brezhnev is a well-known political leader. 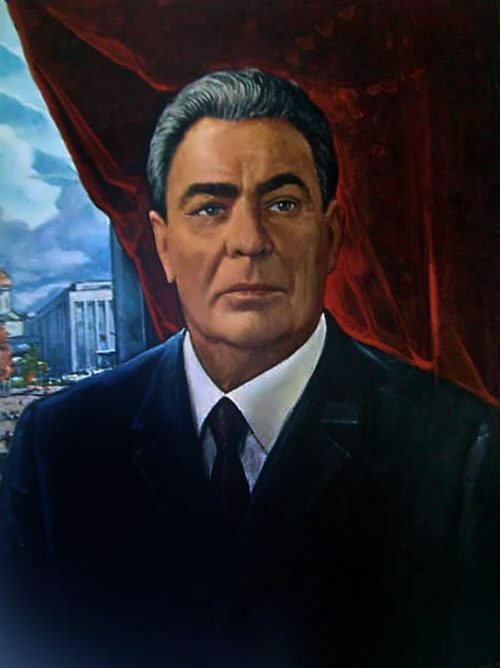 For almost 20 years he was at the heights of the power of the Soviet Union, first as general secretary of the CPSU Central Committee, and then as head of the USSR. 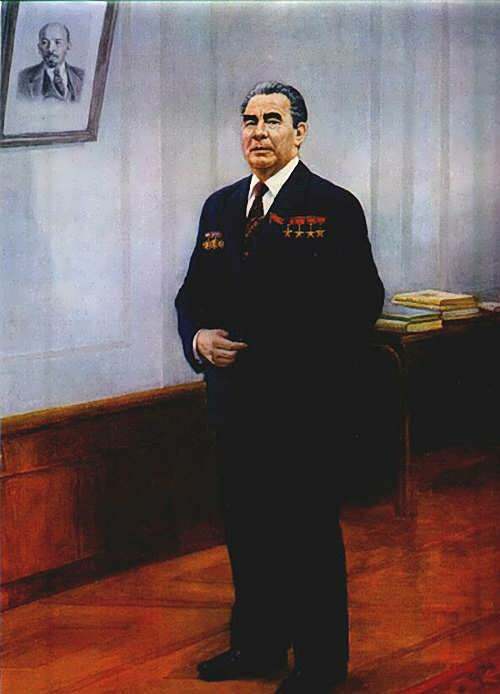 The Brezhnev era is commemorated as stagnation, since the country’s economy was completely destroyed due to failed reforms, which subsequently led to the collapse of the Union. 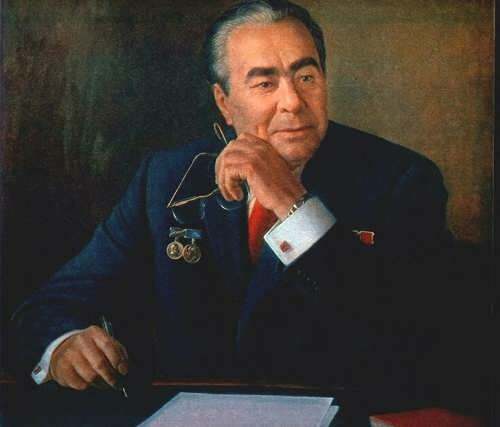 Brezhnev’s rule in modern Russia is assessed in different ways in society – some consider him the best ruler of the 20th century, and others still today, with sarcasm, “thank him” for the collapse of the country, which became inevitable after the reign of Leonid Ilyich. 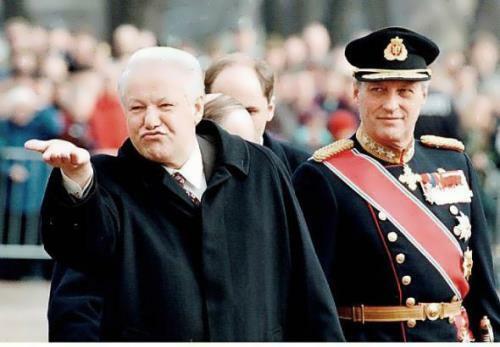 Many Russians remember his era as a Golden Age when living standards steadily improved. 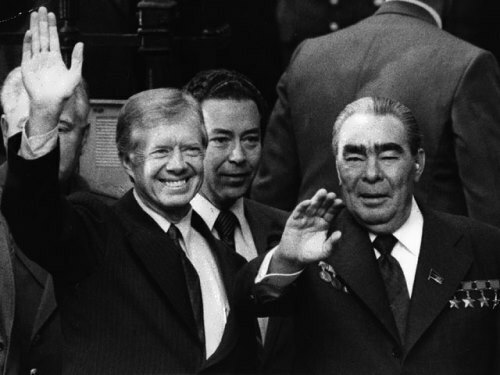 This was the result of his policy of borrowing from the West, combined with the twofold doubling of world oil prices and a deliberate decision after 1971 to reallocate production in favor of consumer products and foods. 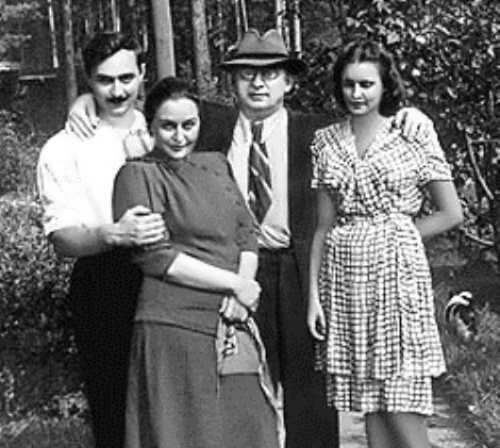 Leonid was born on December 19, 1906 in Kolomenskoye village in Ekaterinoslav province, which today became the Ukrainian metallurgical city Dneprodzerzhinsk in the Dnipropetrovsk region. 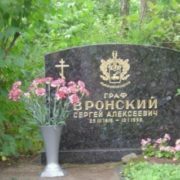 His parents, Ilya Yakovlevich and Natalia Denisovna, were ordinary working people. 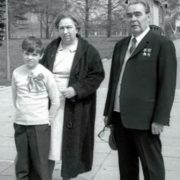 The future leader of the USSR was the first child in the family, later he had younger sister Vera and brother Yakov. The family lived in a small apartment, but the children were surrounded by the love and care of their parents. In 1915, the future political figure entered the classical gymnasium and finished it in 1921. Immediately after gymnasium the boy began to work in a butter mill. 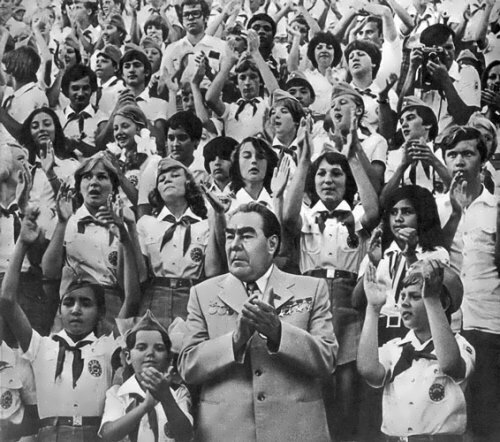 Two years later he joined the Komsomol and then went to study at the local technical school. 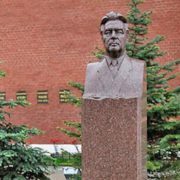 In 1927, he received a land surveyor diploma, which allowed him to work first in the Kursk province, and then in the Urals as the first deputy head of the district land administration. 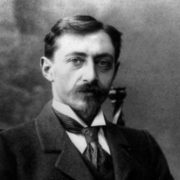 In 1930, Leonid Ilyich moved to Moscow, where he entered the local agricultural engineering institute, and a year later he entered the Dneprodzerzhinsk Metallurgical Institute. Also the future politician worked as a stoker at the Dnieper Metallurgical Plant. Then he joined the All-Union Communist Party. 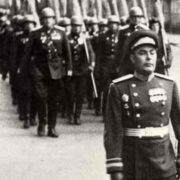 In 1941 at the outbreak of World War II in the USSR, Brezhnev joined the army as a political officer. 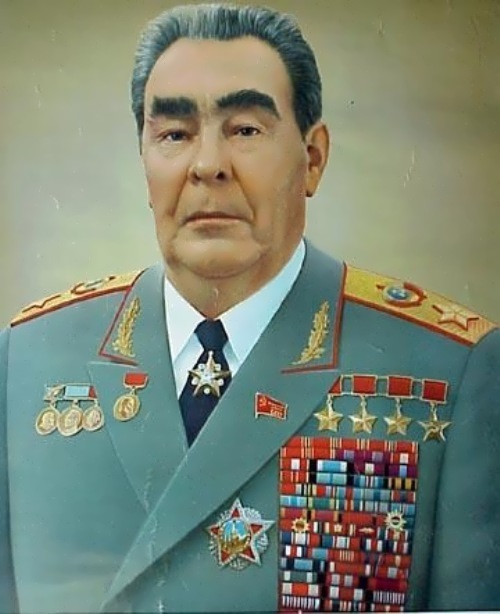 And in 1944 he was promoted to major general. 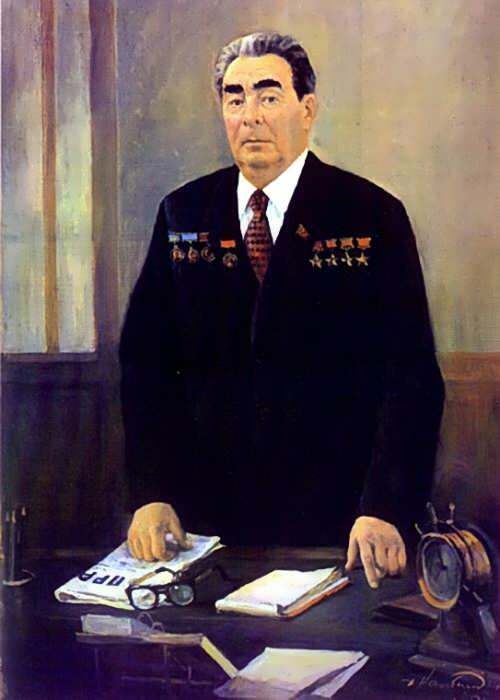 In the postwar years, the future head of the USSR was engaged in the restoration of enterprises destroyed during the war, while paying attention to party activities. 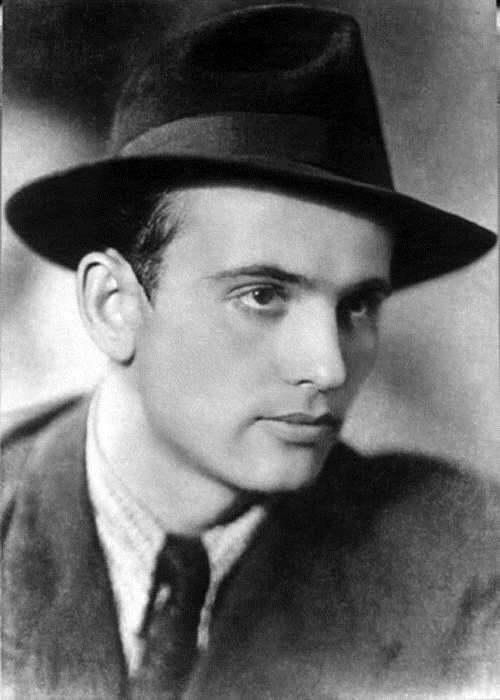 At that time, he was the first secretary of the regional committee of the Zaporozhye Communist Party. 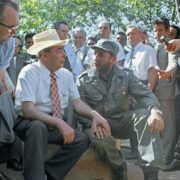 To tell the truth, he was appointed on the recommendation of the first secretary of the CPSU Central Committee, Nikita Khrushchev. 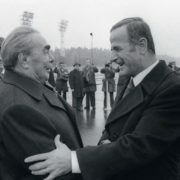 Later, he met Soviet leader Joseph Stalin, who in 1950 appointed Brezhnev to the post of first secretary of the CPSU Central Committee of Moldova. 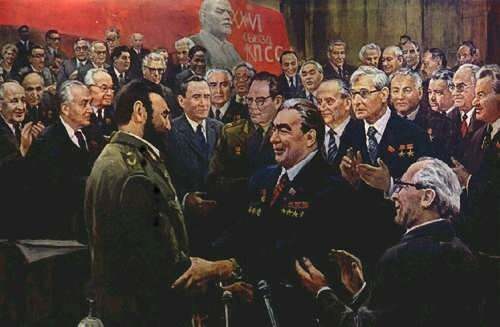 At the same time, the politician became a member of the Presidium of the Central Committee of the Party and the head of the Main Political Administration of the Navy and the Soviet Army. 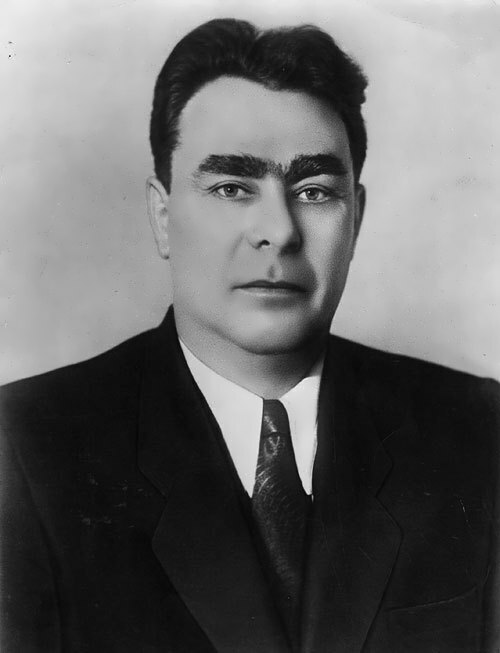 After the death of Stalin, Brezhnev lost his job, but in 1954, again under Khrushchev’s patronage, he became secretary of the Central Committee of the Communist Party of Kazakhstan. 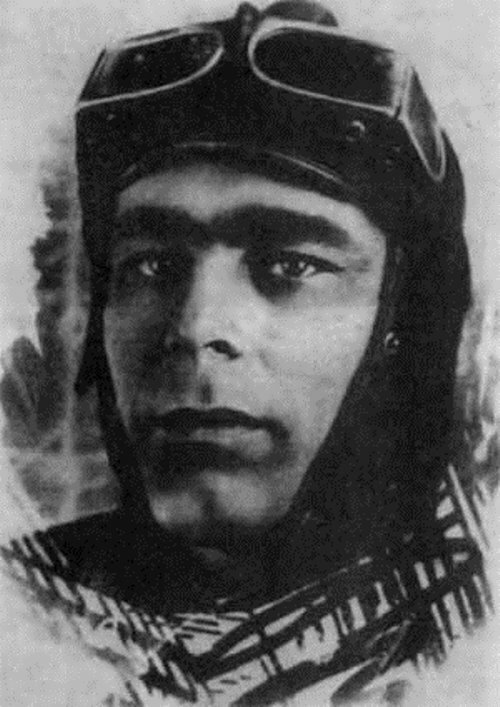 You know, Leonid actively participated in preparations for the construction of the Baikonur cosmodrome. 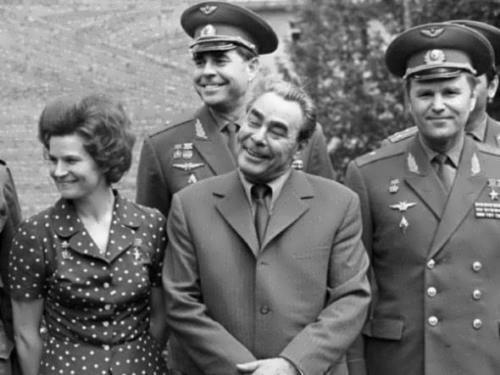 Also then the future head of the USSR supervised the development of space technology in the country and participated in the preparation of the first human flight into space, which was made by Yuri Gagarin in 1961. 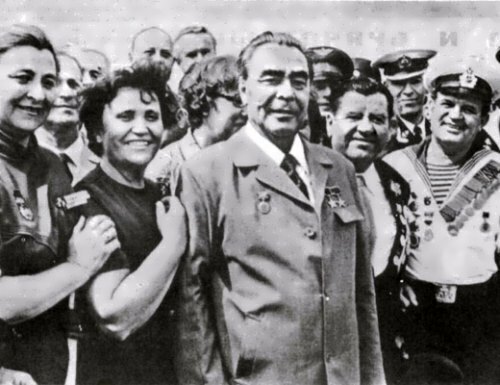 On October 15, 1964, Leonid Brezhnev became first secretary of the Communist Party of the Soviet Union (CPSU). 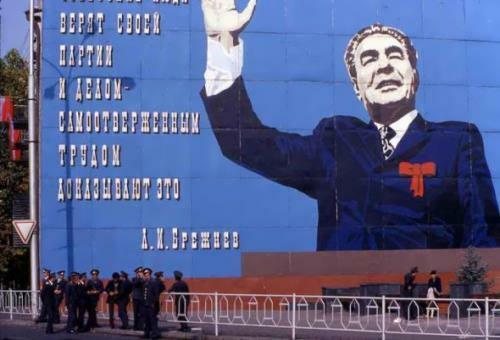 From 1960 to 1964, he was a president of the Soviet Union. 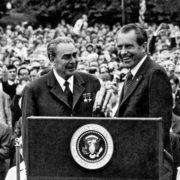 On May 26, 1972 U.S. president Richard Nixon and Brezhnev signed the Strategic Arms Limitation Treaty at a summit meeting in Moscow. 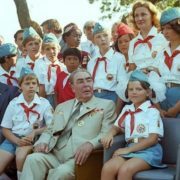 In 1973, Brezhnev traveled to the United States. 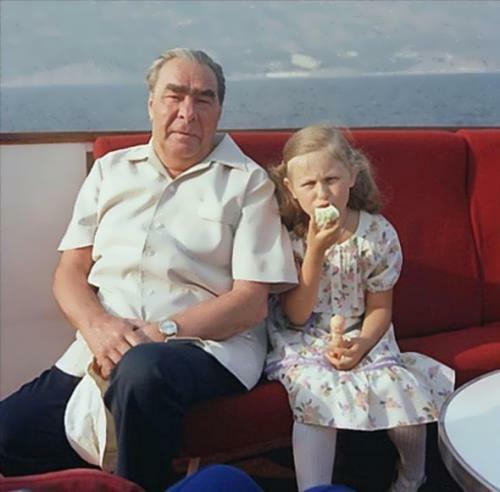 The personal life of Leonid Brezhnev was stable. 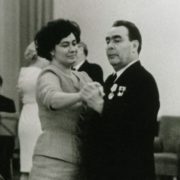 He was married to Victoria Denisova, whom he met in 1925. 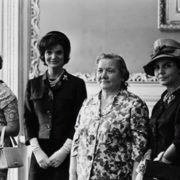 Historians claim that the family life of the leader of the USSR was calm – his wife was a housewife, and he was a politician. Victoria gave birth to two children: son Yuri and daughter Galina. 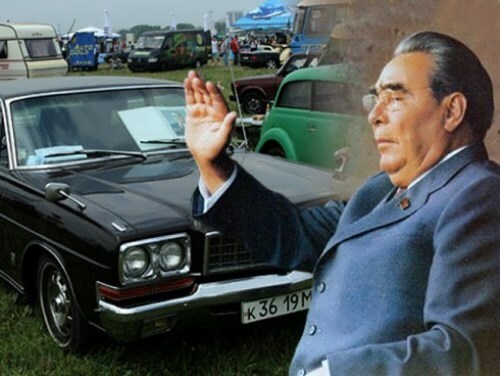 The secretary-general was fond of hunting and cars. Also he regularly went to various theatrical and circus performances, attended sports matches and even visited ballet. 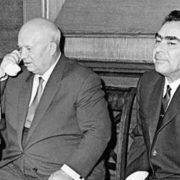 It was in the mid-1970s that Brezhnev’s health began to show serious signs of dilapidation. 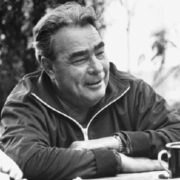 In early 1975, he suffered a stroke and a heart attack at the same time. He could not speak for two months, and a paralysis of facial muscles wiped away his former attractiveness. 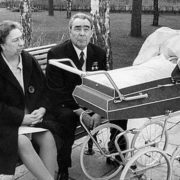 Brezhnev’s doctors managed to soften the aftermath of his illness, but by then he was quite another person. He became suspicious and a hypochondriac. His crafty intelligence weakened. On top of this, he suffered from insomnia, for which he chewed sleeping pills like candy, frightening his staff with his increasingly bizarre behavior. 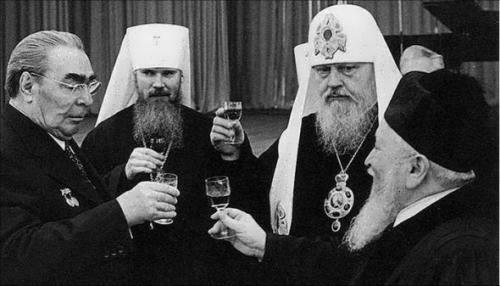 Trying to control him, they watered down his vodka and gave him placebos instead of his potent sleeping pills. 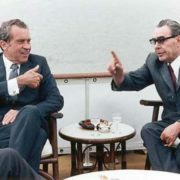 This created a viscious circle, as Brezhnev, frustrated by the weak pills and booze, ate and drank all the more. Doped up, he drove his sports cars with nary a care, almost killing himself and his terrified bodyguards. 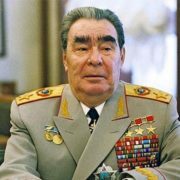 Leonid Brezhnev died on November 10, 1982 from a sudden cardiac arrest during his sleep. 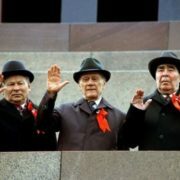 The leader of the USSR was buried in Red Square in Moscow. Leaders of 35 countries from all over the world were at the funeral. 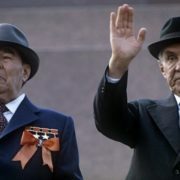 Farewell to the Secretary General was the most magnificent and pompous after the funeral of Stalin. 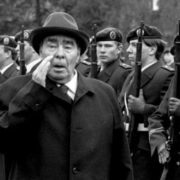 A lot of people were present at the funeral of the Soviet leader, some of whom could not hold back tears and sincerely regretted the death of Leonid Ilyich. 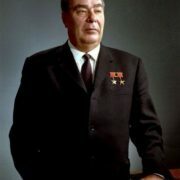 Brezhnev’s successor as general secretary of the CPSU was Yuri Andropov.